Adam Williams has two preferred forms of transportation in Grand Rapids: bus and bike. After a health scare in 2012 when he was 39, Williams took on active transportation as a simple step to improving his health. Today, riding the bus is one of his main forms of transportation and when Williams isn’t pedaling his way around Grand Rapids, he’s riding The Rapid to get to work and run errands. So Williams was delighted to serve for the past year as a volunteer pilot-tester of The Wave, the new electronic fare (e-fare) system that The Rapid is formally introducing to Greater Grand Rapids with sales starting Tuesday, August 14. "The Wave washes away the hassle of using public transportation," said Williams. Last fall, Williams found out The Rapid was seeking pilot testers for The Wave. The Rapid chose him as one of Greater Grand Rapids’ more than 200 pilot testers in recognition that his almost daily trips on the bus would become a crucial element of ensuring The Wave was viable for full public launch. The hardest part of his volunteer job? Answering questions from curious passengers who observed him utilizing the new technology. “That (displaying debit-card template) became my go-to explanation when talking with other passengers that ask about my Wave card,” he laughed. Williams has been thrilled with the ease that his Wave card has brought to his daily trips on the bus. He shared that he no longer contemplates his week planning for a pass purchase or have cash on hand to pay his fare or purchase a fare card. Prior to testing The Wave, Williams generally used 10-Ride tickets because that purchase fit his ridership schedule a bit more than a standard weekly or monthly pass. Thanks to Wave pilot testers like Williams, The Rapid is ready to launch The Wave to the public on Tuesday, August 14, 2018. The general public will be able to purchase a Wave card at Rapid Central Station or online. 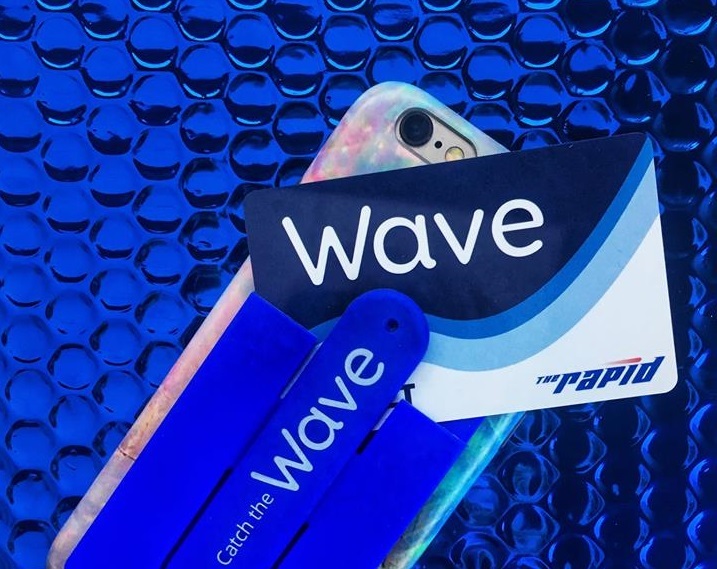 Wave cards are just $3 for the card itself and can be reloaded in-person at The Rapid’s Information Center or on the mobile-friendly Wave website. 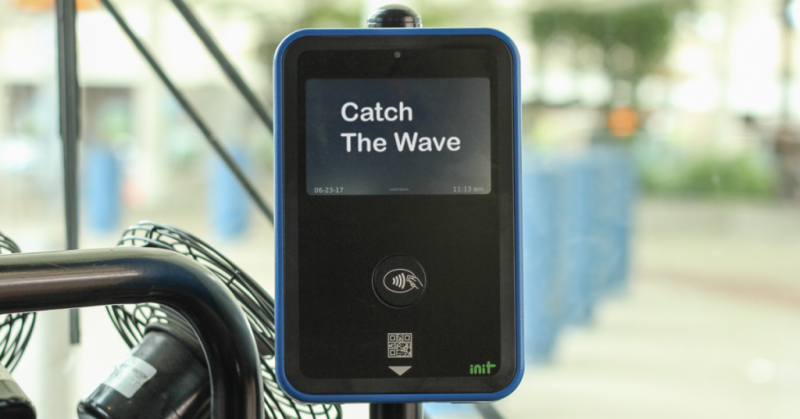 The Rapid is the first Michigan public transportation agency to introduce this innovative e-fare payment system. Top off your account anywhere, anytime using The Wave's mobile-friendly website or by visiting the Information Center at Rapid Central Station. You can also use the auto-load feature to add funds when your balance is low! Learn more about The Wave here. Don’t forget, cash will always be an accepted payment method on board the bus and there is no fare increase involved with e-fare.